Seahawks offensive coordinator Brian Schottenheimer assumed some of the blame for the offensive line allowing six sacks vs. the Cardinals. Now, his unit has to shake that off and regroup to face a very good Cowboys run defense. 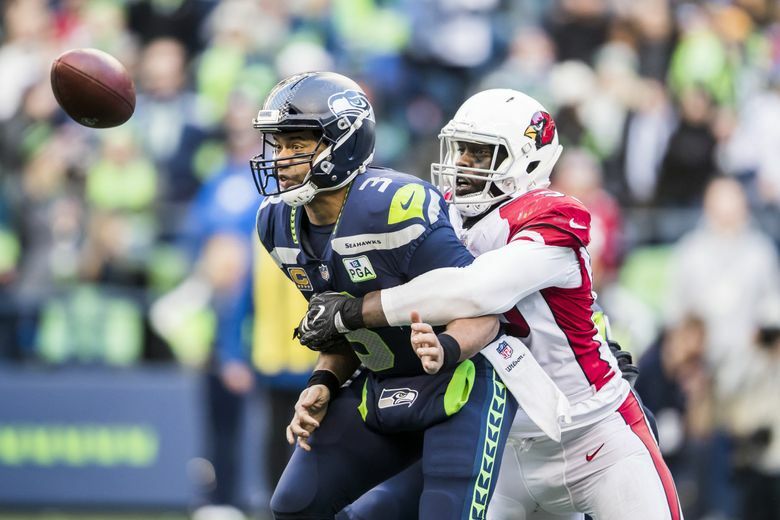 Seeing Russell Wilson planted into the CenturyLink turf six times on sacks on Sunday and having to pick himself up after a multitude of other hits from the Cardinals’ defense wasn’t an enjoyable experience for Seahawks offensive coordinator Brian Schottenheimer. The absence of right guard D.J. Fluker and left guard J.R. Sweezy led to a patchwork offensive line that struggled with in-game communication, including protection and line calls. And while that was a viable reason for the Seahawks’ struggles, Schottenheimer assumed some of the blame as well. The hopeful return of Fluker (hamstring) and Sweezy (foot) for Saturday’s game in Dallas should help return some normalcy to the pass protection. Per Wednesday’s practice report, Fluker practiced, but was limited. Sweezy did not practice, but was not wearing a walking boot and appeared to be walking normally, which is a good sign for Seattle. Regardless of personnel, Schottenheimer seemed confident that the game vs. the Cardinals was an aberration. That Cowboys defense is led by two young linebackers in Jaylon Smith and Leighton Vander Esch, who have combined for 262 tackles. Vander Esch, a rookie out of Boise State, is third in the NFL with 144 tackles. The duo has basically forced former Pro Bowl linebacker Sean Lee into a part-time role. The Cowboys’ run defense, under the guidance of veteran defensive coordinator Rod Marinelli, is allowing 94.6 yards per game, which ranks fifth lowest in the NFL. The 3.8 yards Dallas is allowing per rush attempt is fourth lowest in the NFL. It will be a good test for the Seahawks’ running game, which ranks first in the NFL at 160 yards per game. In this season’s previous matchup — a 24-13 Seahawks win on Sept. 23 at CenturyLink — Seattle rushed for 113 yards on on 39 attempts. That’s just an average of 2.9 yards per carry. Chris Carson rushed for 102 of those yards on 32 carries. It was also the first game that Fluker started at right guard. Few people in the organization believe it to be a turning point game that sparked the offense’s physical, run-first identity. The reminder should be that the Seahawks stubbornly stayed with the running game even though it wasn’t yielding heavy or immediate returns. They didn’t abandon the identity they were still trying to create. Having the ultra-optimistic and always-poised Wilson leading the offense will help. Now 16 games into their relationship, Schottenheimer is still amazed by Wilson’s temperament during games, even in the biggest of moments. The struggles and sloppiness of the last two weeks haven’t shaken Schottenheimer or the offense. He channeled his quarterback’s optimism about the wild card game.